Jean-Marc Gales expects Lotus to still be using Toyota engines in the immediate future, but the Lotus boss is keen to embrace the powertrain options available from other Geely-owned brands. Such co-operation is most likely to make use of resources developed by Volvo, whose technology is also being used by fellow Geely brands Polestar and Lynk&Co. 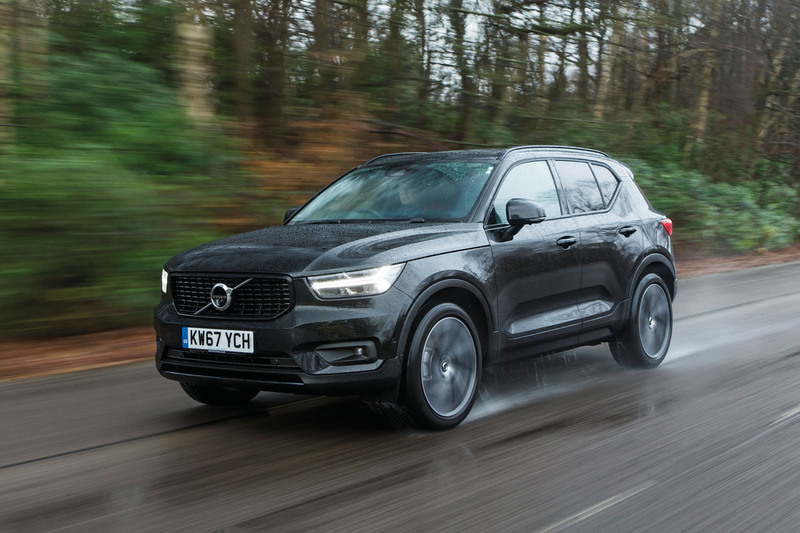 Volvo’s petrol range now consists of a 152bhp 1.5-litre three-cylinder turbo and several variations of a 2.0-litre turbo four-pot making between 187bhp and 306bhp, with the latter aided by supercharging. It is expected that Lotus would use in-house expertise to boost performance from any Geely-sourced engines, as it does with the current Toyota units, but it seems unlikely that an unassisted 2.0-litre four-cylinder engine would provide the power required for Hethel’s top-performing sports cars. Opportunities to tackle this are provided by electrified versions of the same three and four-cylinder petrol engines. Currently, that means Volvo’s 401bhp T8 hybrid. But other variants — such as the three-pot hybrid expected in the Volvo XC40 and Lynk&Co 01 SUVs and the 592bhp four-cylinder hybrid of the Polestar 1 coupé — aren’t far away, with all-electric models also in the pipeline. Gales is also open to using full-electric systems in that sector as the technology evolves. “The pace of development in electric drive is incredible and batteries are also moving fast,” he said. Why not have Lotus/cosworth create a straight six from the four pot. They have the resources and expertise to easily make a good engine from what is not exactly a world class engine. The engine would be more fitting with the lotus handling characteristics, Otherwise its best to keep the Toyota engine which is a hell of a lot more reliable aswell. Lotus have a long history of using 4 pot engines, and the Volvo 4 pots are just as good as any other manufacturers and far better than some, I have not heard any reliability horror stories about its new engine range, so who says the Toyota engines are any more reliable? They are already hybrid compatible, and work with the Aisin automatic gearbox as used by Lexus (Toyota) and Volvo, so there shouldnt be any issues there either. The latest Volvo petrol units are mundane... Believe me. They are no worse than the 2.0 litre petrol engines from Jaguar, BMW, Mercedes, Audi or any other so called premium brand. It really depends on how the power is delivered in these engines. Not forgetting that the Lotus cars are exceptionally light so a mundane engine in another car may well be quite exciting in a Lotus! But they need more power for the top end cars. You can't simply put in a standard engine, it has to be something a bit special. Even the new Aston Martin Vantage is being criticised for using a Mercedes engine - it's not bespoke. Or even breathed upon by Aston (as if they've got the expertiese to rival AMG - if they did they could have done their own engine!). The Elise could do with a price cut and more power. If a Volvo engine can provide that, sure, why not? A non BMW hate comment. Pigs must be flying somewhere. Gales has been quoted as saying he’s going to use Geely group ‘modules’ so he might be intending to build a new crankcase to accept two Geely 3 cylinder arrangements or 2 fours. This would yield a 3.0L V6 and a 4.0L V8 much like aston built the V12 from Ford v6 ‘modules’. I can’t see it happening personally because the timeframe for Esprit launch is impossibly short and the last thing Lotus needs is another underdeveloped, unreliable car which would be particularly damaging in the super car segment. However, for the SUV it is plausible, it would go some way to silencing the naysayers and could then be retrofitted to a new esprit in 2026 for example on an upgrade program.